The perfect bottom for a date on the weekend packed with an endless amount of activities. Featuring a front closure button-up style along with functional pockets for accessibility and convenience. 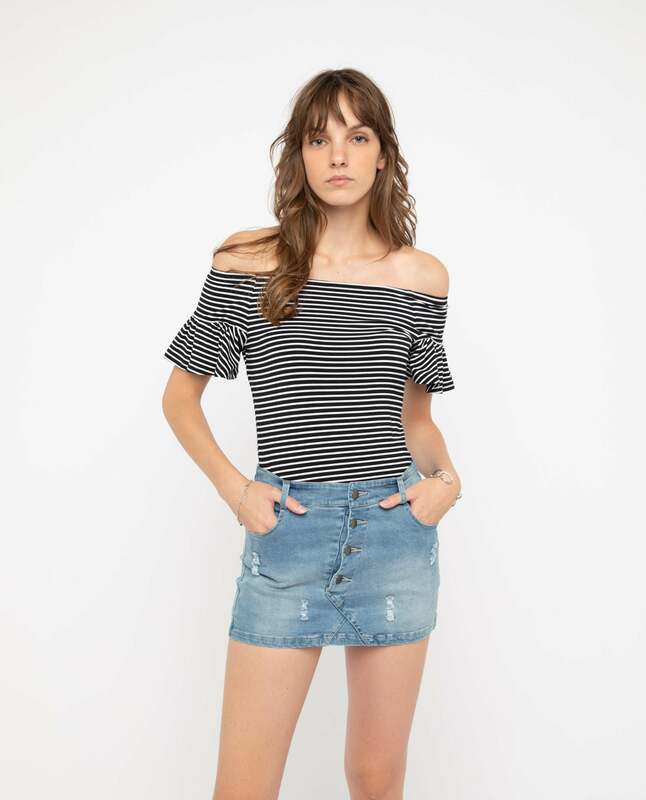 Pair on an off-shoulder top for a sweet feminine look or pop on a slim fit crop top for a sleek and chic style. XS: 12.5" x 15" x 19.5"
S: 12.5" x 15.5" x 20"
M: 12.75" x 16.25" x 20.75"
L: 12.75" x 17" x 21.5"